In my last post I talked about getting very clear on your current customers and your desired customers so you can make sure you’re in front of your real buyers. I also talked about approaching pricing from a different perspective: start by figuring out how much do you need to net each month. 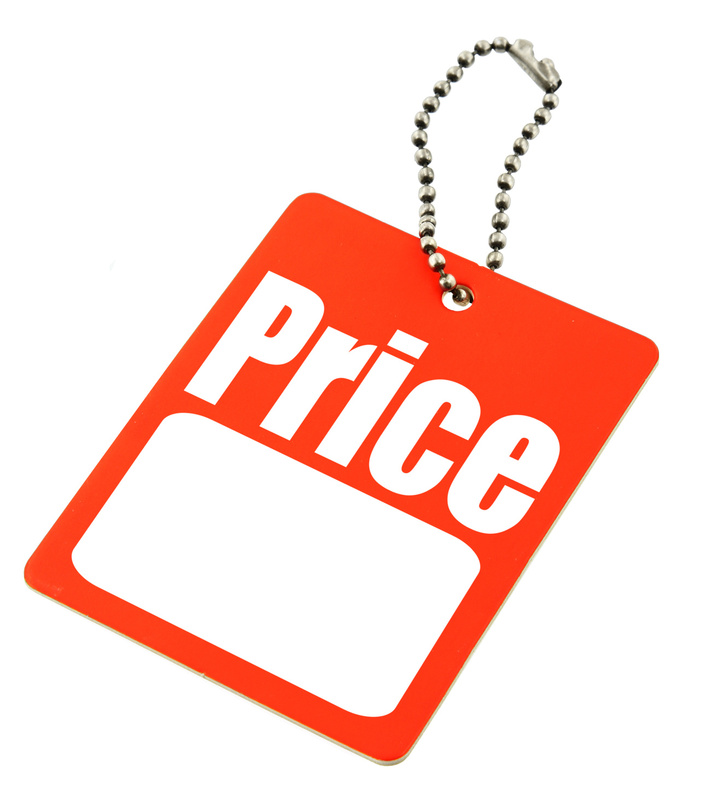 Then pricing becomes more of an exercise in simple math and less of an emotional battle. So let’s do some simple math. We’ll only focus on four of the key factors that you need to consider when pricing: Materials, Overhead, Production Time and Your Time. These factors are applicable to both products and services. We’ll define Materials as the cost of the actual supplies you use to produce your product or service. Overhead is what it costs you to run your business and it includes things like your studio, tools and equipment, utilities, insurance, taxes, marketing, etc. Production Time is how long it takes you to produce your product or service. Your Time is what you pay yourself hourly to produce your product or service. So, here’s a real example that was an eye-opener for one of my clients who makes funky jewelry on the side. My client wanted to make $500 per month from selling her jewelry. She was successfully selling, but she could not figure out why her bills were piling up and she had no time to keep up with fulfilling orders. It turned out she thought that when she sold a piece of jewelry for $40 and it cost her $10 in Materials, she was earning $30 on each piece so she would only have to make and sell 17 pieces each month. She was so excited to be selling her pieces that she forgot to take into account her Production Time (3 hrs/piece) and her Overhead cost ($11/piece). For my client, once we figured this out, it meant she was really netting about $19 per piece and earning about $6.33 per hour. If you’re working for cups of coffee, that’s great. But if you need to support a business, $6.33 per hour isn’t going to cut it. Here’s a little more info on this scenario. Since my client was actually paying herself only $6.33 per hour for her jewelry, she needed to make and sell 26 pieces each month in order to put $500 in her pocket. Since it took her about 3 hours to produce each piece, this meant she needed to spend 78 hours making her jewelry each month. Of course, this does not take into account the time she needed to spend marketing and running her business. Basically, at these prices, she was working nearly full time at night to net only $500/month. So what did she do? She focused carefully on each of the four factors, one at a time, and made changes. She started buying supplies in larger quantities and reduced her Materials cost from $10 to $5 per piece. Then she found a number of areas where she could reduce her Overhead and dropped from $11/piece to $1/piece. Finally, she started using a timer each time she sat down to make a piece. She discovered that she was averaging 3 hours per piece, mostly because she let herself be interrupted continually. She fixed this by designating specific times during which she produced her jewelry, without interruption. This cut her Production Time from 3 hours to 1 hour per piece. The end result, my client started netting $34 per piece, needed to spend 15 hours per month making 15 pieces and boosted her hourly rate to $34. This year, she increased her price to $50/piece, still produces 15 pieces per month, nets $44/hour and has increased her monthly net to over $650. So, figure out what you’d like to put in your pocket each month. Then, take a look at each of the four factors in your business: Materials, Overhead, Production Time and Your Time. Figure out what the real numbers are for your business and what Your Time is actually worth at various price levels. Then, make adjustments, one at a time, to generate an amount that will make you happy. Cass Mullane’s calm, comfortable approach consistently yields positive results for clients. Her business and personal coaching practice, www.prospercreatively.com, specializes in delivering solid left brain business skills in a fun, visual way. Cass in an international best selling author, a contemporary artist, and creator of the Cool Stuff Jar™ coaching program. Her book, The Cool Stuff Jar: Three Simple Ways to Live a Happier Life, is available on Kindle. You can also visit Cass on Facebook!